Suspect flight from police can enhance a conviction risk. As a Virginia criminal lawyer, I have known for a long time that when a suspect flees from police, the jurors are permitted to be instructed that flight can be considered as consciousness of the suspect’s guilt, even though such a conclusion does not need to be drawn. Justin Dean Hedgpeth learned that by the time he got convicted of DUI, fleeing the police and driving revoked. A police officer stopped Hegpeth for a moving violation. The officer smelled alcohol on his breath and asked him to get out of the car for field sobriety testing. Instead, Hedgpeth started to try to light a cigarette. The officer asked him not to, and Hedgpeth told the cop to arrest him if that was what the police officer was going to do. Hedgpeth v. Virginia, Record No. 0107-17-1 (Va. Ct. App., Dec. 27, 2017) (unpublished). The officer again asked Hedgepeth to do field sobriety tests, and instead Hedgepeth ran, and ran. Police finally caught up with him. I love when my DUI clients decline field sobriety tests, even though judges and jurors are generally permitted to take that testing refusal into account when other indicia of consciousness of guilt are available. Slews of stone sober people cannot successfully walk a line while following such multiple instructions as keeping hands to the side, walking heel to toe, taking the correct number of steps and taking a correct turn. Many more cannot stand on one leg for a count of 30, while keeping their foot at least six inches from the ground, counting aloud, and keeping their hands to their sides. In any event Hedgpeth’s judge at his bench trial called the DUI count a close call. My view is that close calls should be resolved in favor of a criminal defendant, because a criminal conviction is not permitted without proof beyond a reasonable doubt. Nonetheless, the judge convicted Hedgpeth of DUI and the remaining counts. Lessons learned: Don’t drive within 24 hours of drinking. If suspected of drinking, you have the right to decline field sobriety tests. All people have the right to decline to talk with police (aside from identifying themselves where required by law.) 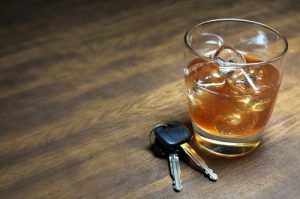 When charged with DUI or another crime, obtain a qualified lawyer. Fairfax, Virginia, criminal lawyer Jonathan L. Katz has successfully defended thousands of criminal and DUI clients since 1991. To discuss your case with Jon, please call his staff at 703-383-1100 for a confidential consultation.